It’s easy to look around your home and think of ways that remodeling will make it better. Some things you can do yourself but complicated jobs like adding an additional room or updating your flooring requires the expertise of a general contractor. Even though there are many companies available, finding the right one for your needs can be a bit difficult. Simply picking a number out of the yellow pages and hiring the first company you find could lead to serious problems that might delay your project indefinitely. Anyone can post an ad and claim to be a professional, which is why you need to research the different companies to learn all you can about them before making a decision. What kind of reputation they have? Has anyone filed a complaint about the company and if so, has it been resolved? You don’t want to hire a contractor that’s known for leaving jobs unfinished, takes longer than the agreed time or that uses inferior materials in the construction of your home. However, you won’t know any of these problems exist without doing your research and checking references. The next step is set up interviews with the companies you’re considering hiring. Once you narrow down your search to three or four companies that specialize in the particular remodel you have planned, set up interviews with each of them. This gives you a chance to meet with the contractors and discuss your project in person. It also gives you an opportunity to see what kind of personal traits the contractor has to make sure your personalities don’t clash. Do they hire subcontractors and if so, do they guarantee their work? Do they carry insurance in case of an accident? These are just a few of the main things to discuss during your interview. Go over all the details of the project so the contractor will know exactly what you expect. This will make it easier for them to determine if they have the time and resources to handle the job. If you find that you simply don’t have the time to do the research and set up interviews, you do have another option. If hiring a general contractor is too time consuming due to your busy schedule, don’t worry. Part of the services we provide here at J. 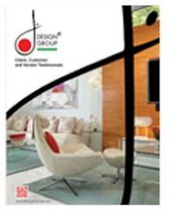 Design Group includes selecting the right contractors and vendors for your project. Establishing budget guidelines, bid specifications and making sure the project stays on schedule are also part of our services. If a problem arises, we’ll take care of it so all you have to do is relax and enjoy the results when the project is complete. Contact us today for more information!